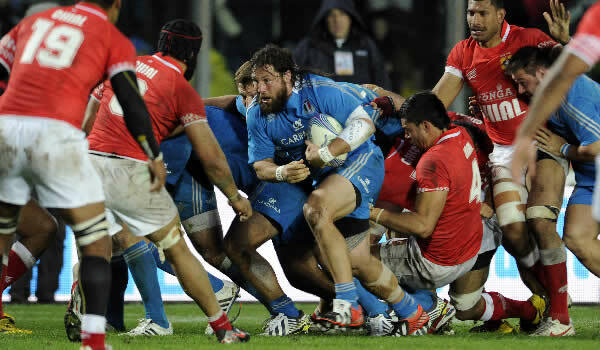 Italy warmed up for the visit of two rugby heavyweights in the coming weeks with an unconvincing win over a feisty Tonga side. With the All Blacks up next for Italy in Rome next week and Australia a week later, Azzurri coach Jacques Brunel came into the first of three autumn internationals claiming the pressure was off the Azzurri. Having won the last two of their three fixtures against Tonga, Italy’s starting 15 contained a mix of youth and experience with Tomasso Iannone making his full debut and a number of Italy regulars not making their appearance until the second half. Tonga, meanwhile, came to perform and did so in a dominant first half which saw the hosts pull back in front only thanks to a late Leonardo Ghiraldini try that was converted by Kris Burton. Tonga started strongly and took a third-minute lead when Fangatapu ‘Apikotoa sent a penalty between the posts, however Italy replied almost immediately when Lorenzo Cittadini pushed over for their opening try in the sixth minute. Tonga dominated an Italian line-out just outside their own 22 but from an attempted clearance the visitors gave up possession and Cittadini bundled the ball over the line. Looking comfortable and more confident in their passing game, Tonga forced their way into Italy’s 22 several times, and were rewarded for their efforts. ‘Apikotoa kicked a penalty 10 minutes into the game but Burton restored the hosts’ lead when he landed a penalty three minutes later. Tonga’s big break came when Italy captain Sergio Parisse was shown a yellow card in the 23rd minute for holding up play. ‘Apikotoa kicked the penalty to give them a one-point lead and although Burton restored Italy’s advantage with a penalty in the 27th minute Tonga were soon back in front with their opening try. Italy had dominated the scrum but gave up possession, allowing Sione Piukala to carry the ball deep into territory where Italy’s defence had to be at their best to repel the red tide. As Tonga pushed forward they won a penalty, but kicked out for a line-out. Eventually, the ball found its way to Alisona Taumalolo deep on the left and he burst towards the corner flag to squeeze the ball in at the corner to put Tonga 11-14 ahead. ‘Apikotoa converted from a tight angle near the 22 line to add two points, but Tonga’s lead did not last long. As half-time approached the Azzurri moved up a gear and were rewarded after a determined push which saw Leonardo Ghiraldini cross over to level the scores. Burton handed Italy a two-point lead with the boot to stop the clock at 18-16. Italy looked more organised and enjoyed better possession in the second half, but failed to finish several promising moves and Tonga proved a menace throughout. 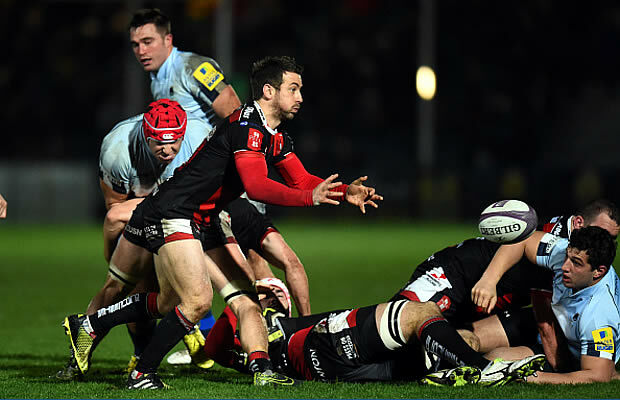 A Burton penalty goal took the hosts’ lead to 21-16 in the 52nd minute, and on the hour mark both sides made a series of substitutions. Martin Castrogiovanni’s arrival made an almost immediate impact for Italy and the hosts extended their lead with a penalty try on 63 minutes. Burton converted to take Italy to 28 points, but a defiant Tonga scored a try through Vainikolo after a good run on the left brought the scores to 28-23 after ‘Akipotoa had converted with the boot.